In the past 6 games the Mariners have scored only 5 runs and have been shutout 3 times. Twice they scored only one run and the other game, 2 runs. Sounds pretty pathetic doesn't it? The last game of the road trip is a part of these numbers when we were shutout at Petco Park and the San Diego Padres behind Edinson Volquez. Today, another pitcher became a star as Aaron Cook of the Boston Red Sox threw a 2 hitter against the Mariners and pitched a complete game shutout on just 81 pitches. Aaron Cook? He used to pitch for Colorado and holds a career 4.52 ERA. The Mariners allowed him to dominate them as they went down like Dominoes. It's not even that Cook's stuff was all that great as he only struck out 2 hitters all day. The Mariners anemic offense has struck again, or should I say, NOT STRUCK AGAIN!? Boston was helping prove the theory of Safeco Field being the issue all the way until the 5th inning. Both sides only had one hit in the game and Boston figured out something that the Mariners couldn't. Either that or Hector Noesi forgot that he was in a game and started to pitch batting practice. Noesi gave up 3 solo homers in the fifth and then another 2 run homerun in the 6th with nobody out. It was all smooth sailing for Noesi and then he fell into his old bad habits. Getting ahead of hitters and then not putting them away. Leaving the ball up and out over the plate. That was all the scoring as the game finished at 5 to 0 and the Mariners managed to get just one more hit all game. All these games with no offense has me wondering how many people are going to just stop going to the games. I already have a hard time going due to ticket prices being too high for a family of 6, but if they don't start winning or at least scoring runs, how many will find other avenues of entertainment? I heard Casper Wells in 710 ESPN today talking about this recent home stand and how it was so great to get that one run off of the John Jaso single in the ninth versus Boston. He stated; "I don't like to get heckled at my own park!" and went on to say that scoring that run in the ninth was a great way to shut them up. The Giants and the Red Sox being in town brought more fans out for their teams than Mariner fans it seemed. It has to be tough to realize as a GM or a Team President that you have more fans coming to watch the opposing team than the home team and even harder on players to hear the jeering over the cheering. 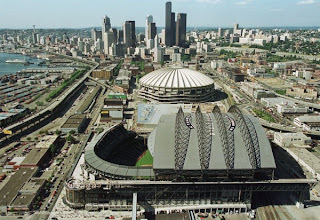 Safeco Field is a great place to watch baseball, but until the Seattle Mariners get things figured out and learn how to play winning baseball at home, it would be safe to say that the team will be doing a lot more lowering of prices to try and lure people to games. Things can't continue as they are. Unless.... unless they are pulling a move like the owner of the Cleveland Indians did in the movie Major League in an effort to relocate the team. 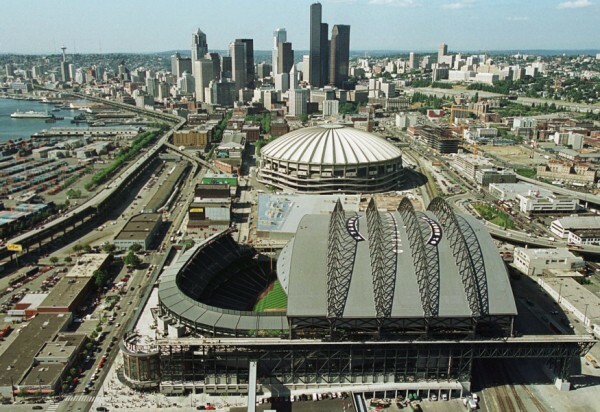 Not that the Mariners are looking to relocate, but maybe they are trying to force the hand of the owner to sell. The Mariners would do much better with an owner that cared about the team. If all he cares about is money, then the Mariners are going to stop making money and get him out. That's just crazy talk and maybe I'm just dreaming. Maybe it's too late at night and I don't even know what I'm saying anymore. Either way, we have to do something different than what we're doing now. We need a change.